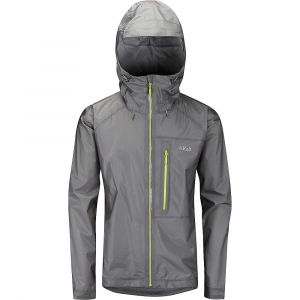 A lightweight water tight/breathable jacket, which won't slow you down. Picked up this jacket on sale last summer, and have been waiting for some bad weather to really test it. That weather is here! 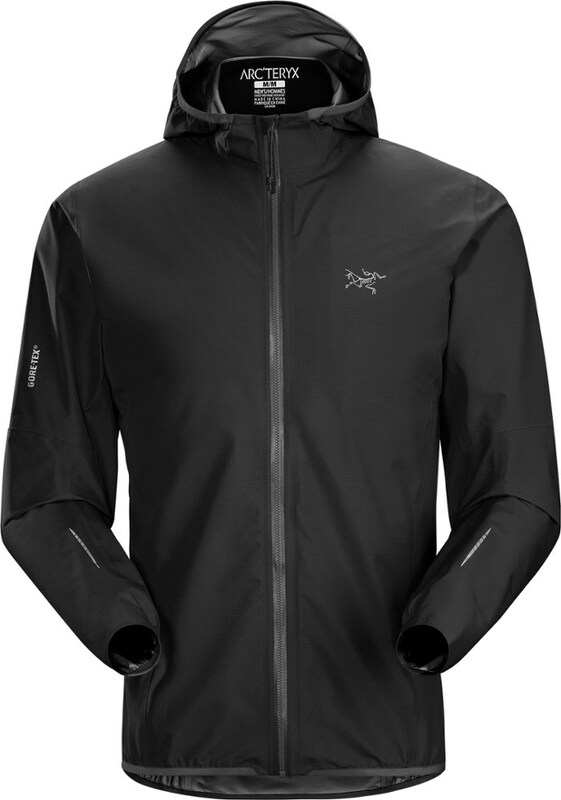 The Norvan Jacket is listed by Arc'teryx as a "trim fit" piece. I have other trim fit pieces from their lines, which fit fine. But this one is pretty tight around the gut. So it is more trim than most. The average person might want to move up to the next size for a more relaxed fit. Because of the super trim fit, it is not a great jacket for layering. 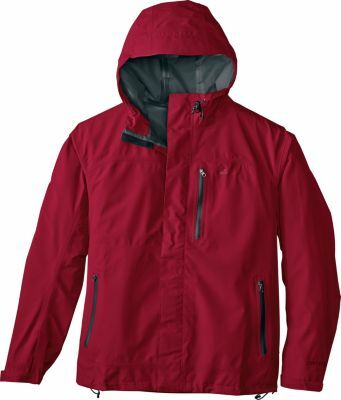 The waist, cuff, and hood have no adjustability, but are elasticized to cut weight and bulk. And lightweight it is at just 7.5 ounces. Also to cut weight and bulk, the only pocket is an internal pocket for a phone or mp3 player, complete with a earphone port. Unfortunately, the pocket is just a little too small for my Samsung Galaxy 7, so I haven't really found any use for it. 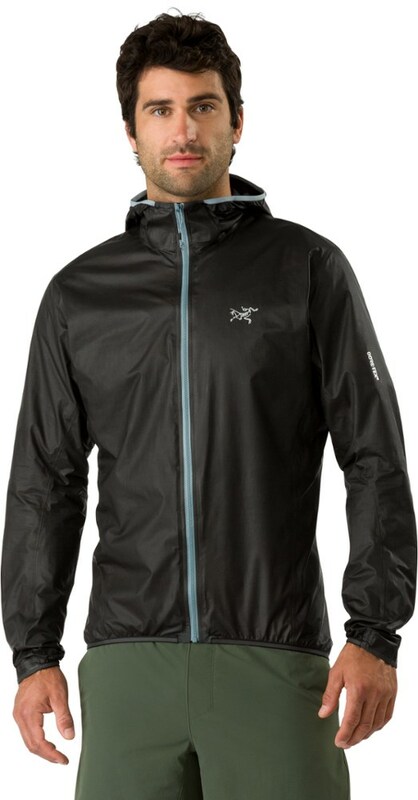 The 3-layer Gore-tex fabric is very water tight, and even in driving rain, I have not experienced any leaks at all. The C-knit backer on the laminate is comfortable, and never feels clammy. 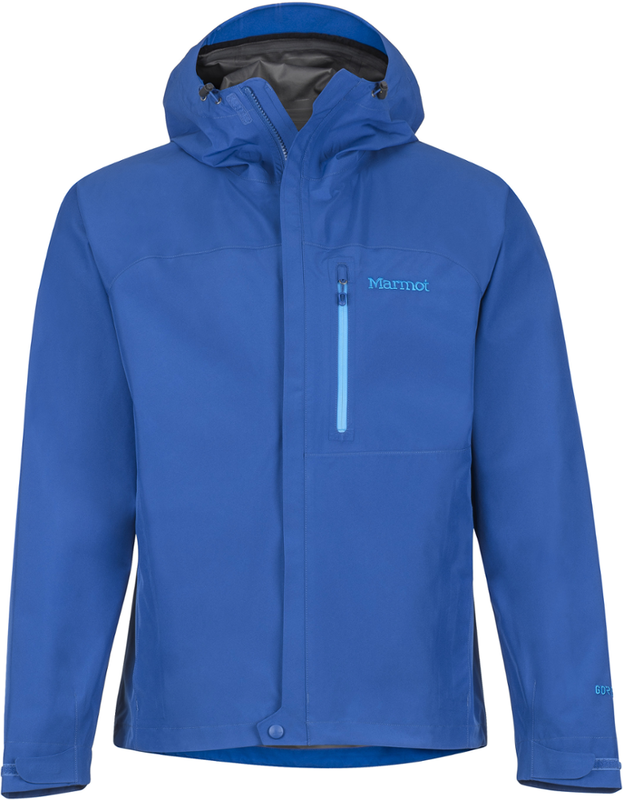 Breathability, while not spectacular, is reasonable for this weight and bulk. The front zipper is water tight, and moves easily and smoothly. The hood, while not adjustable, gives excellent coverage, and even fits over my bike helmet without any problems. Extra breathability is achieved by the means of "venturi" style air vents under the arms. 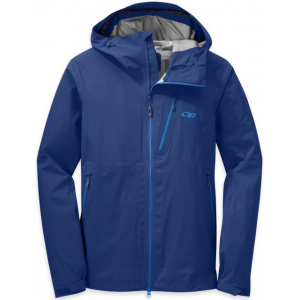 The jacket has the usual superb quality of workmanship one finds with Arc'teryx, and I would expect it to last a long time. Because of the minimalist construction, the jacket packs down small. 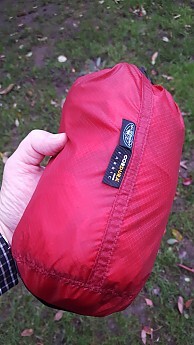 Since there is no real pocket, it doesn't pack into itself, but fits nicely into a small 2L waterproof stuff sack. 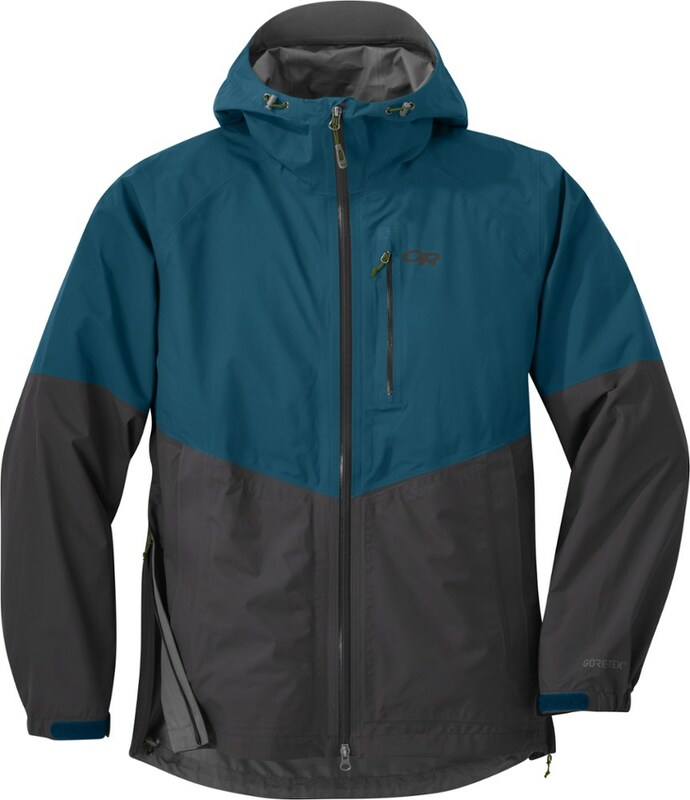 I have used this jacket on damp hikes the Sierra foothills, and soggy bicycle commutes. 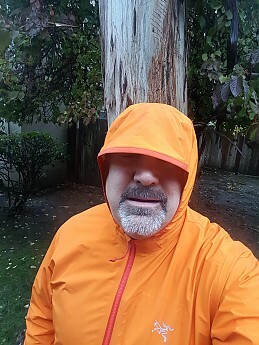 Other than the overly tight fit, I am very happy with the jacket, and it has moved to the front of my gear closet for regular use, in this (for California) wet winter! Thanks for the review, David, and the note on the trim fit.